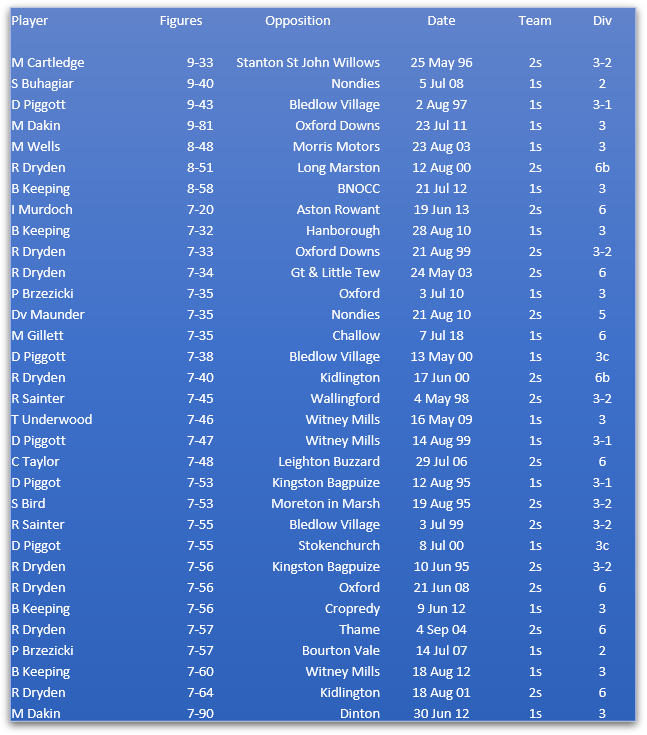 Below are the performances recorded by The Cherwell League since its merger with The Trinity League in 1994. 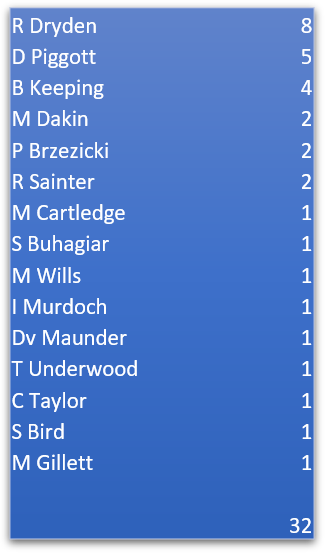 The League only considered 100s and 7 fors as worthy of record until recently when the whole recording system was overhauled. Somewhere in a dusty attic in South Bucks, the BRCC scorebooks of yesteryear lie quietly keeping their secrets, however we began keeping more comprehensive records in 2012, so if you click here, you will see a list of all 50s and 5 fors in the league since that season.